The Scan Man likes to share his favorite historic scanned documents and photos. The relationship between President Nixon and Elvis Presley has always been interesting to me. 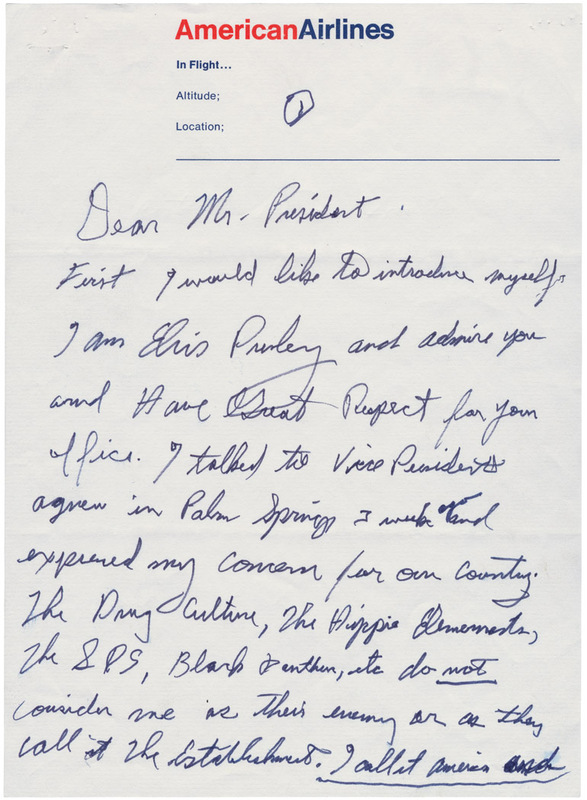 Page one of Elvis Presley’s handwritten letter to President Nixon; Document R-013 re Elvis-Nixon meeting, found in White House Central Files: Subject Files: EX HE 5-1; Nixon Presidential Materials Staff; National Archives and Records Administration.